Middle Grade Authors Love Teachers Giveaway #MGAuthorsLoveTeachers, 2017 – Be someone's hero. No cape required. Hello, Teacher and Librarian WORLD CHANGERS! HAPPY VALENTINE’S DAY, TEACHERS AND LIBRARIANS! Welcome to my third annual Middle Grade Authors Love Teachers and Librarians Giveaway! It’s no secret to those of you who know me that I just adore and respect teachers and librarians who are out there every day with kids–reaching out to them with just the right book or just the right conversation and changing lives. As is often said in children’s literature circles, books offer both mirrors and windows to readers. We often discover things about ourselves and/or who we want to be through reading (mirrors). We also learn about the world–other cultures, ways of life, opinions and learn to empathize with others (windows) which is more important than ever. For some, a book offers a friend and the ability to revisit that friend as needed. Yes, we write the books. but YOU put those books into the hands of kids every day. We are a TEAM. So…to express this appreciation and love for ALL of you heroes/teachers/librarians out there, I have banded together with some author friends (HUGE THANKS to these authors for their kindness and generosity!) to offer one GIANT giveaway for one lucky winner. The winner of this giveaway will receive a signed copy of every single book below–each mailed to you in separate packages by their authors/illustrators. There are many you’ll recognize, I think 🙂 Please feel free to click on each cover to see more information about the book and its author. Directions for entering are at the bottom. POISON by Sarah Albee will be an Advanced Reader Copy. So a pretty cool line-up of signed middle grade novels, huh? 1) Make a comment on this blog about anything book-related or kid-related. Or teacher/librarian related. Or anything-under-the-sun related. *Please provide twitter handle or e-mail address with your comment* Also, if you share elsewhere online (Facebook, Google+, etc.) please let me know here. 2) Share to Twitter with the hashtag #MGAuthorsLoveTeachers I know–long hashtag But it will help us find your entry! Please include link, if possible! Rules: ***Giveaway ends on Monday, February 20 at 11:59PM. Winner will be announced the following morning. ***2) We know that teachers do not always get the appreciation they deserve. (They deserve parades and serenades and major awards.) This giveaway is a reminder that WE appreciate you. Yes—we write the books, but YOU are in the trenches every day. YOU get the books into the hands of our readers. Together, we are creating life-long readers. For that…we are most grateful. THANK YOU for visiting our giveaway! This is incredible! Thank you to all of the authors and organizers for ensuring some lucky students get these phenomenal books! Amazing! New books for any classroom would be incredible! Students in my Reading Resource program would be so excited to have new options for independent reading. Thank you! Wow…what a list of books! There are no words to express how much the generosity of authors means to me. Thank you to ALL these incredible authors, but especially to you Lynda for organizing and for always reminding us how valued we are to all of you. What a Valentine gift. Thank you from the depths of my heart. Thank you for arranging this giveaway! I am a school librarian and we can all use a little help providing new, exciting, well-loved books to our students through our library collections. This is the librarian lottery! What a wonderful and generous set 9f books! My 5th graders are working hard to build their reading identities. These titles would be a great addition to our classrooms library! Thank you to Lynda and the gang! Eek! So many of my favorite books on this list! My 4th graders and I would be over the moon to win this. This is a beautiful thing you are doing. I’m a 4/5 ELA teacher and love that I can connect students and books. Have found many other teachers/librarians on Twitter and love connecting & learning from each other. So many great titles on this list that have already become well-loved this year in the hands of my school kids. Thank you for the chance! As a huge fan of your writing, as well as many of the other featured authors, I am beyond excited at the opportunity to receive signed copies of these books. It truly is an incredible line up of literature you’ve compiled!! I would love to share these with the teachers and students within my school district and let the power of books be far reaching ! Thank you!! My students are going to freak if I win! This is an amazing opportunity! Thank you! This is AMAZING! Thank you for providing our kids with such amazing books to read. You are their rockstars! Wow!! I would be so overjoyed to win this giveaway, and my students would be ecstatic! Thank you to all of the amazing authors who are a part of this celebration of books! Linda Mullaly Hunt is fantastico! (along with the other authors that are a part of this giveaway). I am a 5th grade reading teacher in Texas. Last year I was able to buy $200 to $300 a month on brand new books for my classroom and students to keep. This year I have only spent a little bit of money. I don’t know why I am so poor this year. (Well, actually I do–we keep buying black Angus calves for our land.) Anyways, I’m crossing my fingers this giveaway is a win for me. You can visit my website called at http://www.czechgirlreads.com. There is even a blog post about authors who give away books to teachers to use in their classroom along with teachers, like me, that buy books for children to keep forever. The other blog posts consist of my favorite MG books every year I have been born; my favorite 2016 MG reads and the 2017 MG books I can’t wait to read. MG books are my thing. Good luck to all the enter. Congratulations to the lucky teacher/librarian that wins! My Twitter name is Czechgirl Reads. My twitter handle is @Czechgirl68. This giveaway is amazing! Anyone who is fortunate to receive this will instantly have wonderful book choices to offer to students. Best wishes to all! And an amazing thank you to those who donated to make this possible. Holy moly! Talk about an amazing lineup of books! Some I’ve read, some I can’t wait to read! They certainly all belong in the hands of children! Would love to add these to our library.Thank you Lynda and Gang! You’re all Fantasticos in my book! What an amazing list of books! Many are familiar books I loved and others are being added to my to-read and to-share list! What a great collection! Thank you Lynda and all of the other wonderful authors involved in this give away! My students and teachers would be so excited if we won this collection!!! Being a librarian/reading ambassador is one of the greatest parts of my day! Hope to be able to share these amazing stories and characters with my students!!! What an amazing line up! Pick me! Oh, Lynda. How kind and generous of you and all the other authors involved in this giveaway. Must be a mutual admiration society since to teachers authors are the rock stars. Thank you very much for your love and support. There are so many great, great books for kids. I counted all the holds/reserves I have put on for my kids the other day – 692 holds this year alone. Speaks to great books for kids. Thanks to the amazing authors who keep giving us so much good stuff to read! Wow! This is amazing. I couldn’t do the job I do without incredibly talented, huge-hearted authors out there creating literary adventures for me to put in my kids’ hands. Thanks for organizing this, and thanks authors! Excited for whoever wins this sweet collection! Wow, this giveaway is beyond generous! I’m a library media specialist at a K-5 school in Connecticut, and I know my students would LOVE to add these books to our collection. I try to end each class with a book trailer or quick book talk, so my 3-5 students have already heard of many of these titles! Thanks for this opportunity! An amazing group of authors and books! Thank you for doing the work needed to get something of this magnitude pulled together. Scrolling through all these titles made my heart swell. So many great MG titles! Last year our K-9 school chose FiAT as our whole grade read aloud in grade 6. So generous of you Lynda to share such a great giveaway! What an amazing set of books. This would benefit any teacher classroom and MANY, MANY students. This is a terrific start to keeping or rekindling the love of reading. THANK YOU! Thank you for doing this, Lynda! We appreciate you!! After working as a full-time mom for 20 years, I went back to work as a teacher 13 years ago, working with fourth and fifth graders. I get to teach them reading, writing, social studies, and art. I am a lucky woman. This year has been the most emotional year of my teaching career. My students have been disturbed by the behavior of the adults they have watched on the news this year. Many of my students were teary and worried on Inauguration Day. One way that they have been able to process these feelings is through the stories we read together. Wonder, in fourth grade, and Fish in a Tree, in fifth grade, are our first read-alouds of the school year. Each year, these two beautiful stories set the tone for our work together, with Fish in a Tree expanding and reinforcing the ideas of kindness begun with Wonder. The lessons of “choose kind” and “have grit” have armed my kids with a way to think their way through the difficult times they encounter, and to make better choices than they see modeled around them. I am so thankful to have authors who write with such authentic voices for kids of this age. Thank you for making my job so easy and so much fun! You are our heroes! Wow!! I am a lucky librarian who also gets to read the books that are supposedly “for the students.” MG rocks!! This idea could only come from a dear and fantastico human being! Could this be our silver dollar day? :) We are about to finish up FIAT. Thank you for always helping me form a positive classroom environment with your stories. Best of luck to all the great educators out there! Updated my tweet with the right hashtag! As a teacher and mother of a child with a processing disorder, I ached to watch my young daughter decide she would “never, ever be a good reader” in early grade school. Her hook was finding heroes and heroines who overcame obstacles and proved they were intelligent and talented in their own ways. Now, some 15 years later, she is studying to be a teacher to help reach students like her. This is the coolest giveaway! Thanks for putting it together. Fish in a Tree is our Family Book Club pick for March and we are falling hard for The War That Saved My Life! Thanks for a chance to get these and for all the recommendations! What a wonderful package. Would absoluteky love to win this for my Pre-K – Gr. 8 schools! Thanks for the opportunity! Wow! What an amazing giveaway! All of these titles are so worthy of being read and in the hands of children!! WEEEEE!!! OMG what a collection of fantástico books! If i were to win they all go to 5th graders in the end of the year giveaway! Wow! Wow! Wow! Thank you so much!! I shared on Facebook and Twitter: https://twitter.com/Mhaseltine/status/831722001790300160 (@mhaseltine) I am grateful to you and each of the authors who signed books for us. Wow! Wow! Wow! I’m feeling the love!!! My students would FLIP OUT!!! Thank you for recognizing teachers with this give away! I have said it before: authors make my job easier day in and day out! Without the attwntion that authors pay to making great books for younger audiences my job of connecting readers would be next to impossible! So THANK YOU!! My students would love these books! As a K-5 teacher-librarian, I know the transformative magic middle grade books can work on readers of all ages. Thank you so much for organizing this wonderful giveaway and congratulations to lucky the winner– though I am hoping the odds will be in my favor! Wow. All those amazing books! And the best part is all the students I can share these with because that is the best part of my job, share the joy of reading and help match a student to a book. Speaking of–a couple of years ago I book talked Fish in a Tree at my book club and one student wanted it right away. Why? She’d done what the MC had done. Managed to stay under the radar. The cool thing about this student, who still struggles with reading is she LOVES books. One of the many, many reasons I LOVE my job. Thanks for doing this! My twitter handle is @readwritetell. I will share this there. Thanks again! Wow. All those amazing books! And the best part is all the students I can share these with because that is the best part of my job, share the joy of reading and help match a student to a book. Speaking of–a couple of years ago I book talked Fish in a Tree at my book club and one student wanted it right away. Why? She’d done what the MC had done. Managed to stay under the radar. The cool thing about this student, who still struggles with reading is she LOVES books. That is half the battle…we can help her with the rest! Thanks for doing this! My twitter handle is @readwritetell. I will share this there. Thanks again! I am literally in tears as I believe you have seen into my heart with this collection of books. Many of them and their authors hold such a special place in my heart, and others I am dying to read. Jefferson’s Sons, One for the Murphys, and Wonder are currently lit circle choices for my MG students, Pax is on my “MUST read” list…my 6-8 graders would be beyond thrilled with these!!!! This is the motherload of all MG books! As I scrolled down, I kept saying “Wow!” and “What? !” From SE Hinton to Jeff Kinney to Jacqueline Woodson, amazing. Simply amazing. Thank you, Lynda and all the authors, for creating characters, places, and events that our students can view as a mirror and/or window. Without hard work, multiple drafts, revisions, and every last tweak, we wouldn’t have these books today, so thank you authors!! What an amazing collection of generous authors! This is so exciting!! I can’t wait to share these titles at my read aloud workshop in March! When I looked through this list of books, I realized that they all had one thing in common– all the ones I’ve read are great books, and almost all of the others are ones I have on my to-order list because I’ve heard great things about them… and I kept scrolling, and scrolling! This list alone is a prize; I can’t imagine adding copies of all of these books at once for my students to enjoy! Fabulous list of books. I’d love to update my classroom library with these future classics. So excited for this giveaway! What a wonderful selection of books. Thanks for presenting a variety of books for al types of readers. New books are always welcome as our shelves are full of older, worn books. This giveaway is simply amazing! As a fifth grade teacher I often (okay, always) buy books with my own money because I want my students exposed to new, quality middle grade books and authors! This year my Mock Newbery book club was a HUGE success with over 60 members! Growing readers takes great teachers, librarians & of course authors and their books! Thank you for this amazing contest! What a wonderful treat!! This makes my teacher heart so happy! How generous of each of you! I truly believe a good book can change a child’s life! Thank you for caring about our students! Wow! I have to say, the love we Teachers and Teacher Librarians get from these authors is amazing. I am so impressed by the time they give to kids in answering e-mails, creating school visits, giving back to the writing community in workshops such as Teachers Write and Nerd Camp. Really, you authors just rock my world. I write the newsletter for my local chapter of Teacher Librarians. Whenever I win a giveaway, that book goes into a giveaway that’s part of that newsletter. Imagine if I said ALL these books were up for grabs?! It’s so fun getting books into the hands of adults that love getting them into the hands of kids. Hands down, best feeling ever and why I love being a school librarian so much. Thanks for the love, thanks for your work and KEEP GOING! So many of these books are changing our students’ outlook on life. @mjantzi As an elementary school librarian, you help me with wonderful life changing titles. Thank you so much for partnering with us in the trenches. This 5th grade teacher can unequivocally say that MG authors are loved by our students as well! Reading is everything in our room, and your bravery in tellling wonderful rich, powerful, and relatable stories for our kids is what makes my job – getting good books into their hands – so fun and easy. This is an incredible lineup! Our classroom library would LOVE these! Thank you for this offer! My classroom library is the best tool in my arsenal of literary weapons. How magical would it be for all these books to be signed?! Thanks for helping to write books that allow kids to have a common experience with a character. A book the the Outsiders that I read in school to Pax, Fish in a Tree, Orbiting Jupiter that were part of the GRA. Lynda Mullaly Hunt, you are always working to help out teachers but ultimately children everywhere. Thanks for arranging the giveaway. I’m a 6th grade teacher and your books have engaged many of my students, especially when Fish in a Tree was the read aloud book. Thanks! Fish in a Tree…so do the kids. Thank you, thank you. I remember all my teachers k-12. I hope that I am a teacher my students remember, long after they leave my classroom, for the fun times, the hard times, the book discussions, and most of all for the love. Thank you all for the wonderful opportunity to win some books for my classroom. You all are amazing! What an amazing collection, I would love to add some of these diverse titles to my 6th grade classroom library! This is such an incredible giveaway of books that my students will truly love! Some of these titles and the authors that have written them are on their list of favorites. Many of my students wrote to you about these books for the Letters About Literature competition that we entered! My goal this year is to add more titles to my library and to find some favorites of my own so I can encourage my students to have a love for reading! What a beautiful collection of books!!! Thank you for being so awesome to teachers and kids and spreading the love of reading! Wow!!! This is an extensive list! We are currently reading Wonder and I just ordered Pax. I’d love to share these with my students! I am constantly grateful to the incredible author that share their talents with my 5th graders and I. You make deep conversations, mind vacations, empathy, and problem solving come to life. Thank you! YOU inspire us! A fellow T came to me just yesterday and said her kids gave a standing ovation at the end of Fish In A Tree…& thanked me for suggesting it. She wanted more book suggestions! Not a problem, thanks to all of you!!! I am @sbuhner and thank you for this Th book giveaway!!!! Once again, you’re taking care of our children. Should I win, I’ll give away the brand new copies of the ones I already have in my classroom (I have only 8 of these) to other teachers in my school. Thank you for helping all scholars love reading – such great titles! These are fantastic books! They would be a great start to building and empathy library. Each of the authors represented here Have stories of hardship and perseverance- stories of hope. Thank you to the authors (and publishers) for making this happen for a teacher or librarian. That’s love! I love your books and would LOVE to win this collection to share with my kiddos at school! They love to read. I have shared on Twitter @teacherjenn2013. Thanks for doing this. I could not do what I do without you doing what you do. Geeking out over all these books!!! Such a great list of books and signed by the authors!! I have several in my classroom library now and will be hitting Amazon to add some others. What a great offer for educators! Thank you for your generosity. I have retweeted on twitter. Love to use these books as a read aloud in my classroom!! “A child who reads will be an adult who thinks.” Thank you for giving our students this opportunity! What a blessing for one lucky teacher/librarian! The book choices are fabulous and will be a wonderful addition to any library. This generosity is an example of magic of writers, especially writers who write for children. Thank you for this opportunity. Peace and smiles! If I mention something about a book or an author to my 5th graders, the book flies off the shelf. When I sit down to conference with my 4th graders about the books they are reading, I see such a spark in their eyes! They love words, and characters and their stories. Thank you, Lynda, for giving us Ally and all her struggles. Her story helps kids open their hearts to each other and to themselves, and adjusts the perceptions of what being smart is actually all about. So excited to continue to share her story, and with any luck, the stories of all of the characters so graciously brought to life by these authors. I can see the sparks already! Also sharing on my Facebook page Jill Brockschink. After being an elementary school librarian for 13 years, I made the leap to a middle school library this fall. I am so grateful for the move and I never knew how awesome middle schoolers were (I’m pretty sure I wasn’t that awesome in middle school). Talking books with them and hearing their insight is one of the best parts of my job. Thank you to all of the authors for writing books for this age group. They are unique, smart, and creative young people and your books connect so strongly with them! @jilldodgelms Also sharing on my personal Facebook page. I teach Deaf and Hard of Hearing students. In my state (Iowa), support staff (speech language pathologists, hearing and vision teachers, physical therapists, etc) are not employed by the school districts themselves, but rather by area education agencies. One of the rules for the giveaways doctates that we must have a school address, but I do not because of what I mention above. Am I still eligible for this giveaway? I’d love to get more books like these in my students’ hands. This is amazing! Students desperately need books like these. Thank you for your generosity! An amazing list of books that will allow students to grow and make connections. My students not only enjoyed the book Fish in the Tree by @LynMullayHunt they were able take key concepts and themes within the story and apply into their lives. Concepts of growth mindset and the power of changing your words while accepting differences in key. A powerful story that reaches all in many different ways. Thank you very much for your support of teachers and librarians! I am so thankful that you admire and respect teachers, but that goes both ways. Authors, especially children’s book authors, are my rock stars and it makes me so very happy that you are all in this world. Just as Judy Blume and Beverly Cleary helped me get through tough times when I needed them, you are doing so for this generation. Much love and appreciation. Oh, and I shared on FB and Twitter. Thank you again! I am the Reading Specialist for middle school age students…new “job” after teaching 6th grade for 22 years. My librarian recommended “Fish in a Tree” as my read aloud for the 6th graders. IT CHANGED MY LIFE! And it opened up a dialogue with 2 different students and their parents who had concerns but didn’t know how to verbalize them. They are now getting some answers to their concerns. Middle school students are so self aware but don’t understand differences in others…this book began a dialogue with my students about empathizing our differences. I am looking into some of the titles above to read aloud with my 7th and 8th graders. Thanks you so much for your support of teachers and librarians. And with this blog, I am able to say thank you for the change you have made in my students and me. Lynda – this is such an incredible thing to do for teachers and librarians! I’m currently a semi-retired teacher who subs almost every day at one of two schools. I would sure love to win these books and present them to the school librarian at one of the schools! I know the kids there would love them! Take care, and know that YOU are a hero to so many people! What an amazing list of titles. As I scrolled through them I noticed past and present Battle of the Books titles we have used/use in our school-wide competition. Fish in a Tree is one of the 13 titles in this year’s competition. The kids would be so excited to have a signed copy if this book, and the other titles too, in our library. Thank you for showing your love to us with this giant giveaway. How fortunate any teacher or student would be to get a chance to read all these great titles. Oh my goodness – what a fun collection of titles! I love this time of year when many of my third and fourth graders are growing more and more independent as readers — and are beginning to crave stories that are more complex. I especially LOVE when they read titles I’ve booktalked in the library and then come back to me with their own insights…such great connections with kids!! Thank you for honoring librarians (and teachers!) with this giveaway! My email is olsonj@conwayschools.net, and I shared this on Twitter (https://twitter.com/MrsO219/status/831932588239499265). I also passed your email along to the other librarians and a few reading teachers in my school district. Thank you again, Ms. Mullaly — my students and I enjoy your books so much! What a fantastic and diverse set of books. I have loved so many of these titles and so have the students and adults with whom I work. Sharing on my Twitter account as well! Thank you, thank you thank you! I work at a small rural school where students do not have access to the school library daily so I make it my mission to keep popular titles in my classroom library. This opportunity would allow me to add so many amazing titles to our collection. Thank you! This is a spectacular list of books. My students would be so lucky to have these titles at their fingertips! Middle school authors rock! LOVE this list!!! There are several I still need to read! LOVE MIddle school titles! Wow! Look at this collection of books! Thank you Lynda and all of the other very generous MG authors! You are the true rockstars!! I will be sharing this on Facebook and twitter @kthomas63. Thank you so much! All of these books are wonderful! These books would enrich our library and our school! @gfox1998 Love middle grade authors! You get kids and help them get themselves! Wow! What an amazing, incredible list of books to share with our students. Lucky doesn’t begin to describe the winner of this giveaway! Thank you Lynda for helping organize this and for all the inspiration you’ve provided for staff and students with your writing, particularly “Fish in a Tree”. What an amazing collection of books. I like how there is a wide range of genre and reading level. Hi! Thanks so much for this awesome giveaway. These books would be cherished and fought after by my sixth graders. I love teaching everyday and I love connecting with authors! Thanks so much for this. Even this post made my day! My sixth graders would love each and every one of these and as I look at the list, I am picturing which student would get each title first. Hi there posted a tweet, @twitheath and following up here. I am so excited to see the fabulous books on the list, after all books as mirrors and windows! Teaching book readers empathy! Reading is the key to everything! It can change your life. More middle grade students need the opportunity to explore the word through words! It is very generous of you to do this! Thanks! There are some great books on this list, some that are on my TBR list, and some that are new to me. The winner will be on very lucky teacher or librarian! Thanks for giving teachers and librarians this chance. Thank you so much for this awesome opportunity for teachers and students. I agree with Kelly Gallagher, who writes that the best ways to increase student engagement with books are: Build a classroom library. Build a classroom library. Build a classroom library! Many of us don’t have the funds to do this as quickly as we would like. Thank you for a chance to put more books in the hands of more children. It is critically important. This is an amazing collection of books to have in a middle school media center. Thanks , Lynda, for spearheading this giveaway. Would love to share these with my middle school readers! Such generous authors! I’d love to be able to showcase all of these books in my classroom, and introduce my students to some new favorites! As a new middle school teacher, I have spent hundreds in the last few months updating my classroom library with books my kids would actually read. Even if I don’t win, there are some awesome titles I can’t wait to check out! Wow! This is so generous! My fifth graders would love to get their hands on these titles. Thank you thank you for this opportunity! Wow! What an amazing list of books! My kids would love to make these additions to our classroom library. Thank you for the opportunity! Once again, this is truly amazing! Thank you to all the rockstar authors and illustrators who have added their book(s) to this amazing collection! Your books make ours jobs easier!! What I love most about being a sixth-grade ELA teacher is putting the right book in the right hands, and I must say, I’m not bad. That nose-in-the-book-can’t-think-of-anything-else posture…especially the first time? Well…I don’t have to tell YOU. I have a lot of the books in your giveaway, but I am a great sharer! Also, great books catch on like wildfire and sometimes I have waiting lists for new books. What a blast! Your offer is so generous…hope I win! I hardly use twitter but I am @reedys_readers. I am also on Facebook. Oh, wow! So many excellent books! I am currently reading aloud Fish in a Tree to my 4th graders (making it the 3rd time I have read it). Thank you for arranging this. I can’t believe how many awesome books are listed here! Thanks for being supportive of librarians and teachers who work so hard every day to get the right book in the right kid’s hands! I love this! I am a 5th grade teacher and we teach a social issues book club unit. These would be great for the unit! I hope I can win! What an awesome giveaway! Thanks for sharing your love of books with kids! I’m definitely sharing this on Facebook and Twitter! Reading some of these books with my students is what fuels me as a teacher. AThe fellowship created during a read aloud of a moving text, is like no other teaching magic on earth. Each year, I choke up as I read Carly’s final moment with Mrs. Murphy, and I sobbed uncontrollably with my homeroom last year reading Orbiting Jupiter….but is there anything better than showing your students how a book can move you? I think not. This is a wonderful collection of books, which any classroom or library would be lucky to receive. I love that so many of these books have messages of hope and love. Wow! What a generous offer! I would love to be in possession of that great set, but I’m at a school with a really nice library. I think there are so many schools without the funds to keep their libraries open or staff it. I know a few schools not too far from me in that situation. I’d share the winnings with one more needy than me. Absolutely love the idea! These books! These authors! Sharing on Twitter via @karinhanson Thank you! Amazing list of books! Thanks so much for your generosity and support of teachers and librarians! What an amazing collection!! I can’t wait to look up all the titles I have not heard of!! I love all the books that I have read that are on this list. And I LOVE that I get to share with my students the same feelings, and then watch them in turn fall in love with the books. Thank you to all the authors who share their thoughts, experiences, and passions as well!!! Wow! I have read a few of these books with some of my classroom book clubs and they are for sure student favorites! My students absolutely love to be read to even if they are in 6th grade. This would be such an awesome addition to my social studies classroom. Thank you! Thank you so much for this giveaway. There are so many amazing books here to share with students. can change a childs life and we would be honored to receive these. Thank you for this special! Incredible list of books. Awesome. OMG… could not believe the amazing array of titles here! My students would be OUT OF THEIR MINDS to receive such a wonderful gift! Thank you for thinking of us! There’s so many great new books here that I’ve had the great pleasure of reading, but I haven’t been able to get them into the hands of my students yet. What an amazing gift it would be to win all of these amazing books! Thanks to all of those who organized and donated to this giveaway! I love it when teachers are recognized for their hard work and dedication! We ❤️Lynda Mullaly Hunt! Wow! My fifth grade “fantasticos” and I would be honored to receive these books. Thanks for helping teachers get the best books into the hands of the best kids! Such a great book list from such generous authors! It would be an honor to receive these books and put them in the hands of my students! I can’ the believe the amazing books in this package! So many that I have purchased for my classroom, and book talked them; they are flying off my shelves. Plus so many others that are on my list to purchase! There is nothing better than a great read! books listed in this giveaway. Thank you! to my library. 🙂 Thanks for thinking of us! I love books! My students are starting to fall in love with reading! We could use these books to help us keep open our options!! Oh my! This collection ROCKS! I teach first grade and reading is #1 in our classroom. My students would truly benefit from this collection…I love to read aloud. Build empathy, awareness, and literature passion nurtures life-long readers! I shared on both of my Twitter accounts- classroom and personal @1Bstpatrick and @carriebrowntx. I shared on Google + and Facebook, as well. carriebrown@carriecharleybrown.com Thank you for this opportunity! Thank you for thinking about teachers! I work hard to provide a huge classroom library for my students, but it costs so much! I appreciate your generosity and I love sharing your books with my students. One young lady in my class was hooked on Joan Bauer books. When she finished reading all of Joan’s books, I shared One for the Murphys with her and she loves it. She wants to read Fish in a Tree next. Thank you for sharing your amazing stories with us! I forgot to mention that I shared on twitter. My email address is teacheram@msn.com. This is such a wonderful thing you do for teachers and their readers. You really are one of a kind. So happy to have spent time with you talking books, readers, and life. Authors are the backbone of all we do! This stack of books would add so much to any library! I’ll be tweeting (@doodlinmunkyboy) this giveaway, just to share this list! What an incredible way to brighten teachers’ days and kids’ reading lives! Thank you for your powerful stories and generosity! An amazing collection of books. I would be so lucky to share these books with my readers! Moving from a school with a very involved librarian to a school with two paras who don’t help the students or encourage reading is very difficult to handle. Holy cannoli, what an incredible collection of books! Wonderful site. A lot of useful info here. I’m sending it to some friends ans additionally sharing in delicious. Fish in a Tree has become my, and a lot of my students’ favorite books. It helps children who struggle realize that they aren’t alone, and that they have to find the thing that makes them special. We thank you for your work. As always, so generous of all the authors involved! So many of these amazing books are on my to be read list!! What a wonderful way to share books with more students!!! This would be a wonderful addition to any school library or classroom library!! Thank you! I would be fortunate to share these titles with middle schoolers. I love this! Sharing to twitter now. What an excellent Giveaway and great opportunity! My students (and the teacher) would be thrilled to have these high quality books in my classroom. Many I’ve read and some would be new to me; an added bonus is that they are signed! What a great list! I can’t wait to explore them more! Thanks so much! And posting on Twitter now! I am a volunteer librarian in a small parochial school. We struggle to update our books especially for our middle school students. This giveaway would be amazing for our students. Thanks for the opportunity. I will share on Facebook. What an amazing variety of books. Orbiting Jupiter is a favorite with my eighth graders. Thank you for offering this collection. What a way to close out our World Read Aloud Day 2017. Would love to add to classroom collection!! There is no such thing as too many books! Wow! A middle school teacher’s dream!!! Oh, pl EEZ ze pick me!!! Just started a new position as a 6th grade reading teacher. Best part of the job is recommending books to reluctant readers and having them come back to tell me how much they loved it! Shared on FB! My students this year have gone through a TON of the titles in my library already this year. Some of them have a hard time getting transportation to a local library so they often head to my library first. It would be so wonderful to get some new additions! These are some of the greatest books for the middle school children that I teach! Thank you for being such an inspiration to them!!! I love instilling a love of reading in my 4th grade students. These books would be an amazing addition to our classroom library. Thank you for this amazing show of appreciation for teachers and librarians. This giveaway is so amazing. There is nothing better than to see a reluctant reader grab hold of a book and get sucked in slowly page by page until they forget why they ever hated reading in the first place. There is a book out there for everyone! Shared on Facebook and tweeted! What an amazing gift! I love being a middle school librarian and I know my students would be thrilled to get theither hands on these books. Wow! What an amazing, thoughtful message from authors! Our students are the big winners!! What an incredible thing! Thank you so much. This is amazing! I would love to get new current book for my classroom. Thank you very much for this amazing giveaway. One quote my class and I like is, “Books build a stairway to your imagination.” Our class is constantly looking for new, exciting books to read. It would be a pleasure to get these AWESOME books to let our imaginations run wild. In our school, we participate in Battle of the Books. This year, Fish in a Tree, is one of our featured texts. Thank you for giving us teachers, and our students, this opportunity. What an amazing collection of books! Fingers crossed! What a great testament to teachers and librarians! This collection would be an invaluable addition to my classroom library. Students at my Title I school have limited access to books outside of the school. Thanks to all of the authors who are a part of this worthy effort. Holy Toledo this is awesome! Thank you for putting this opportunity together for teachers and librarians. I am a middle school librarian and am fortunate to have very avid readers in my building. It seems like I never have enough copies of books! I want ALL of these for my middle schoolers. Such a great list! What an incredible list of books! Anyone would be lucky to win all of these titles! Teaching a child to read is the greatest privilege, I will ever. Getting them hooked on a book the greatest reward. This is awesome! I love promoting reading in my 5th grade class! Thanks for doing this giveaway! @scarterstl is my Twitter handle! This is amazing! Would love to win these for my tiny school’s library. “Courage isn’t knowing you can do something, it’s only being willing to try.” Fritz Lowe from A Night Divided. We love reading in 5th grade at Indian Head School! I would love to get these titles into the hands of my students for novel studies!! What a great list. Many that I and my students already love, and many more that I can’t wait to try. Haven’t read Moo yet, but LOVE Walk Two Moons! Bravo Sharon Creech! Books are gateways to finding new dreams , realizing potential and escaping to new places. They are the best heroes for our students! Reading opens up a child’s world to more than they can see in front of them. Thank you for creating this magic by writing. What an amazing giveaway – thank you! This goes such a long way in supporting classroom libraries and helping students find books they love. What an amazing list of books! My students would drool over this stack of brilliant books. Thank you for taking the time to recognize teachers! Wow! What a find seeing this on Twitter today! Thanks for making some library’s and school’s day! This is an amazing opportunity for a grade 5 humanities teacher! My students have read through my classroom library and the single copy I have of some of the title in this giveaway are the most loved. The students created a wait list system to get their hands on my copy of FIAT, The Thing About Jellyfish, The War That Saved My Life, Wolf Hollow and One For the Murphys. Can’t keep them on the shelf. Kids who love to read and wait in a cue to get their hands on a fave book it a great problem to have. Great opportunity! My 5th graders and I would be thrilled to win! I shared on Twitter and Facebook. Thank you for this generous prize for our profession! Thank you for this opportunity ! So wonderful. Thank you so much for doing this MGAuthors!!! This is awesome! Love how you are supporting our students! Thank you, thank you, and thank you!! This is so awesome! What a great set of novels to have in the classroom! Thank you so much! Thank you so much for sharing and putting this together! Whichever community wins is getting a beautiful set of books that will be cherished for years! Sharing on twitter (@guptador) and Facebook! I just used the wrong Twitter handle below! @MrsGuptasClass is the right one. #doh! These would be great additions to our speed date a book project! Wonderful collection. Thank you. Would go great in our book shares. What a great collection of books! Middle grade teachers love authors, too! Wow! What a great giveaway! My fingers are crossed 🙂 I shared on Twitter- @mrscantu5. Wow! What a great book collection. Can never get enough books into students hands. As a librarian in a middle school who loves books and encouraging students to read this is an amazing opportunity! Thanks to all the authors on board and I know the winner will appreciate these books so much! The way the world is today, I find that books are our one of the most important sources we can use to find peace, love, serenity, and strength. In these tough times, we have to stand together and share all the incredible books and stories we can. We have to make a difference. We have to show that in these books there is so much knowledge. Books are our one source we can use to show the world love. I love books and I love that I get to share them every day with my students. Books make the world a better place, let’s be honest. So excited that is mis-typed my name!! This would go a long way in updating a sadly outdated classroom library. Fingers crossed. Up and down the stacks for a book. Who’s just like a friend. That you don’t want to come to an end. For their work or greatness in sport. Or lives in the zoos. Or about what they eat. Your librarian’s not far behind. It’s your mind that you’re going to feed. For an assignment or just for your self. If it sits on the shelf. This is an amazing set of books. Thank you for honoring the work of teachers! Wow! This is amazing! So many books on this list that I can’t wait to read. And to share with my students. Thanks for all you do! Wow! This is an amazing giveaway. My students and I would be thrilled to receive such an awesome gift! As a teacher librarian in a middle school, I can tell you my students love these books. Some where even our summer reading picks. Book talking these books would get my readers excited to read!! Loved Wish and Counting thyme ! Would love to add these to my library! Being a school librarian is an incredible job. Everyday I have the chance to make deep connections with people through books. Thank you to the authors and illustrators that enrich our lives with wonderful stories, artwork, and experiences. Wow. Wow. Wow. I work with struggling readers and writers in grades 6, 7, 8. What an absolute gift this would be for them! And what a continued encouragement of their love of reading! Even if we don’t win – yay for the lucky middle graders who do! Authors are teachers too! Thanks for writing books that my students can connect to, think deeply about, laugh with, learn from . . . .
My kids have been looking for books like these! We read Wonder aloud in our classroom and they have fallen in love with the character and the multiple perspectives! Thank you for this opportunity! This is a phenomenal list of books! I just love the way a good book takes you into another world and yet connects so well to your own! I hope I get to share these with my students! There are so many great books in this giveaway! My students would be so lucky to have them in our classroom library! Thank you for supporting teachers. Wow! That is amazing! We would love to win these for our school library collection! I shared on facebook and on Twitter. My Twitter handle is @tonya_nc. Thank you all so much! Lynda, thank you for the kind words!! What a valuable treasure of fabulous stories! I would love to share them all with my classes. My students would be so excited to receive all these books. They really loved Fish in a Tree! Thank you for honoring teachers and librarians! WOW!! Thank you all SO MUCH for making comments and sharing to Twitter and Facebook. So excited to find out who the winner will be. Again – huge thanks to you all! This is AMAZING!!! I’m always looking for top quality books for my students to read, especially for my 5th graders. This totally prepares them for the type of books they will see in middle school. This is absolutely amazing! This is my first full year implementing reading workshop, and I would love to swell my shelves even further with this great collection of titles. Thank you for supporting teachers! I’m on Twitter as @Mrs_J_of_EAMS and Facebook and Google+ as Cristi Lackey Julsrud. Thank you for celebrating teachers and librarians. Every day in my classroom I celebrate you and other authors that make literacy enjoyable for students. You and others write about the tough topics that students think only happen to them. They make connections. Fish in a Tree changed one of my students lives. She was able to talk more about what was happening in her life. I want to thank you for putting this giveaway together. Thank you to all of the authors who donated books. I celebrate you daily for changing the reading world. What an amazing collection of books! Some of my favorite books to read with students–and some titles new to me to explore with students! Thank you, Lynda and all of the amazing authors participating, for writing such wonderful books and for celebrating teachers. These books!! Middle school English teacher here. THANK YOU! What a spectacular selection of novels for some lucky person to share. I just finished Freak the Mighty with my sixth graders. Actually, every 6th grader in our school read the book. We celebrated with a ‘Freaky Friday’ theme before vacation. Books are these amazing experiences we share with our students. What an incredible opportunity! Love so many of these books and excited to discover the others! Who won! Dying to know…I’m wringing my hands in hopes of getting them on all those fabulous books!! Middle grade teachers appreciate authors! So grateful for the words that inspire my students and the authors who allow me to share their stories! Oh my, what a generous offer. 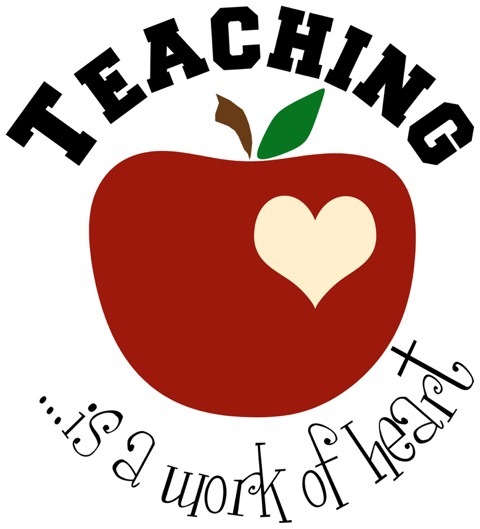 Thanks so much, and thank you for acknowledging the work educators do each and every day! Whoo Hoo – books! One of my favorite things as a teacher is to share books with my students. When they love a book I recommend and that we have read, and we get to talk about it. Nothing better. Thank you for sharing the love of reading with us! I teach reading intervention and work with some of our most reluctant readers. I have found that displaying new books in my room is an amazing way to foster reading, especially graphic novels. The best part of my job is when a student asks me for the next book in the series or a book that is similar to the book they just finished. Their excitement for books warms my heart! Thank you, Lynda, for this wonderful opportunity to get more books in kids’ hands! You are an amazing author and caring person. Loved you through your story, One for the Murphy’s!